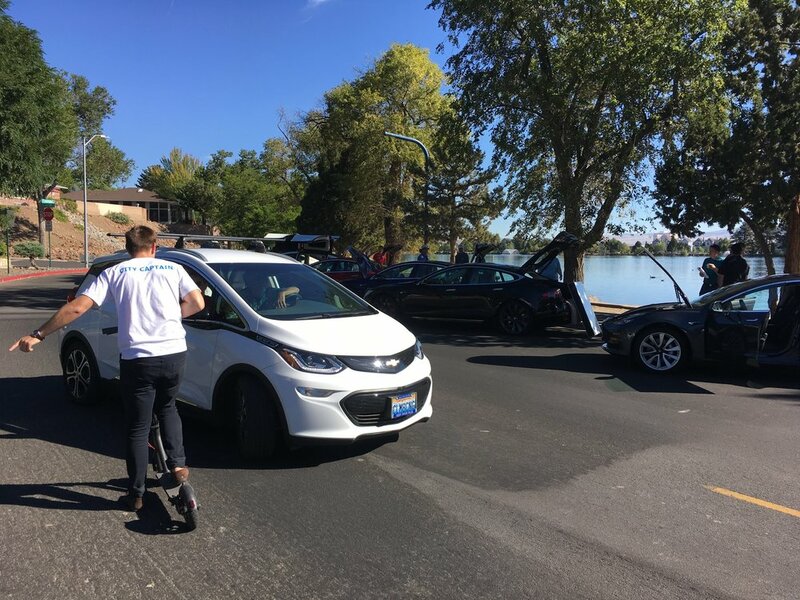 For National Drive Electric Week we gathered local Reno, Nevada electric vehicle owners in the parking lot of Virginia Lake. This was a convenient location with a large gazebo, playground and what we thought was enough parking...(stay tuned). We expected a large number of vehicles and guests but we never thought we’d run out of parking!! The turnout from the community was great! 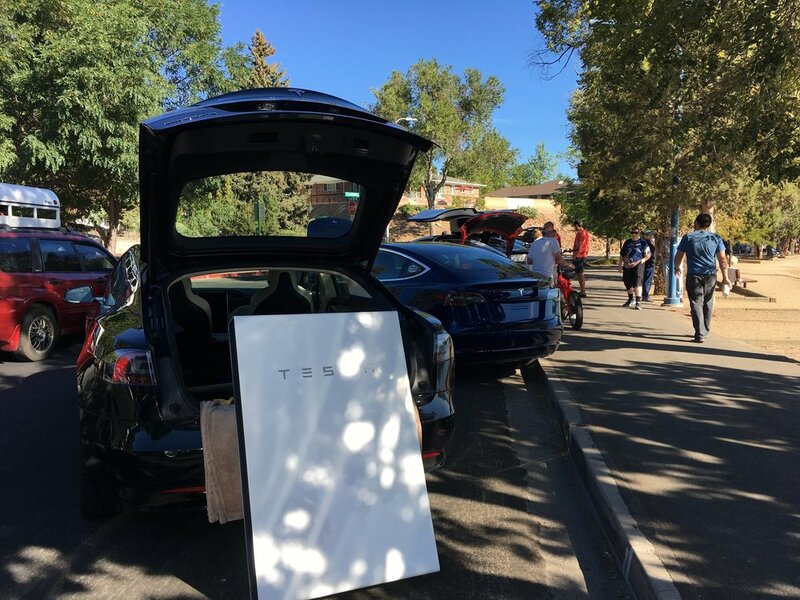 Local electric vehicle drivers not only showed off their cars but also provide information on how theirs was different than the model next to it. Reno Councilwoman Naomi Durr made opening remarks to the crowd. 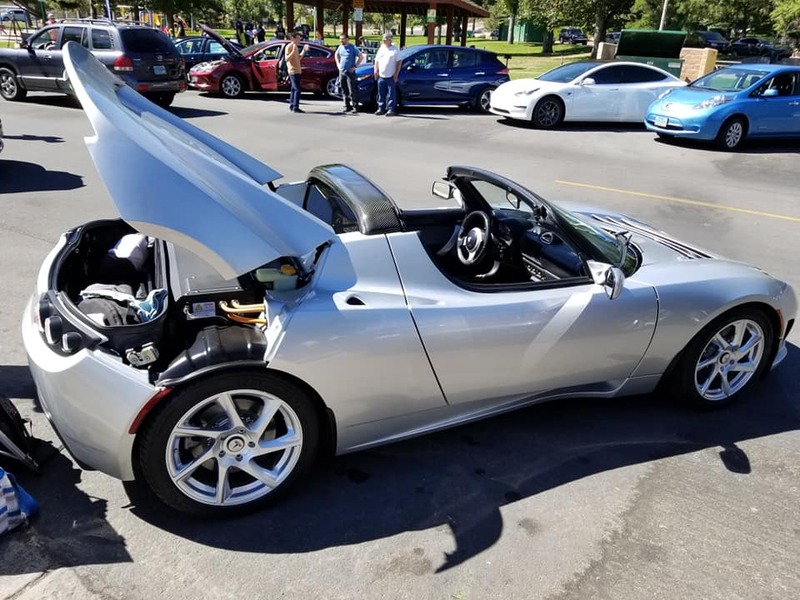 There were a total of 37 plug-in and electric cars including 21 Teslas that included an original Roadster, as well as S, X and 3. Attendees were able to experience ‘ludacris’ mode in a P100D Tesla Model S.
Other EVs showcased can be seen in the registration image below. 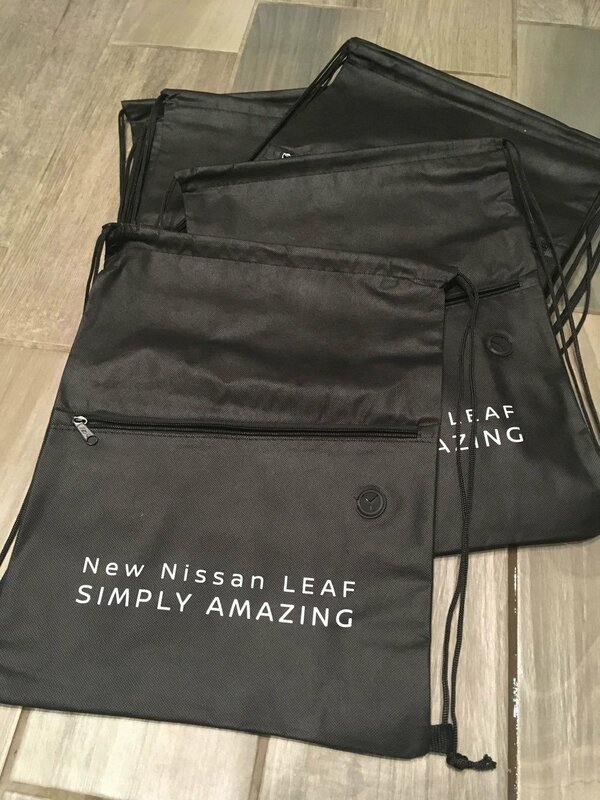 The variety of years/models included Chevrolet Bolt EV and Volt, Nissan LEAFs that included a 2018 model, 2018 Honda Clarity Plug-in Hybrid EV, Toyota RAV4 EV, Mitsubishi i-MiEV, Ford Focus Electric, BMW Mini-E, Volkswagen e-Golf, electric scooter, and Zero electric motorcycles. Exhibitors and vendors at the event included SEE Autonomy, Glory Cloud Coffee, Tesla Gigafactory, NV Energy, Northern Nevada First Responders and Fire Departments, Sierra Club, Plug In America, “Yes on 6” electoral initiative campaign, Drive Electric, BMW Reno, Bill Pearce Courtesy Honda, and Zero Electric Motorcycles. 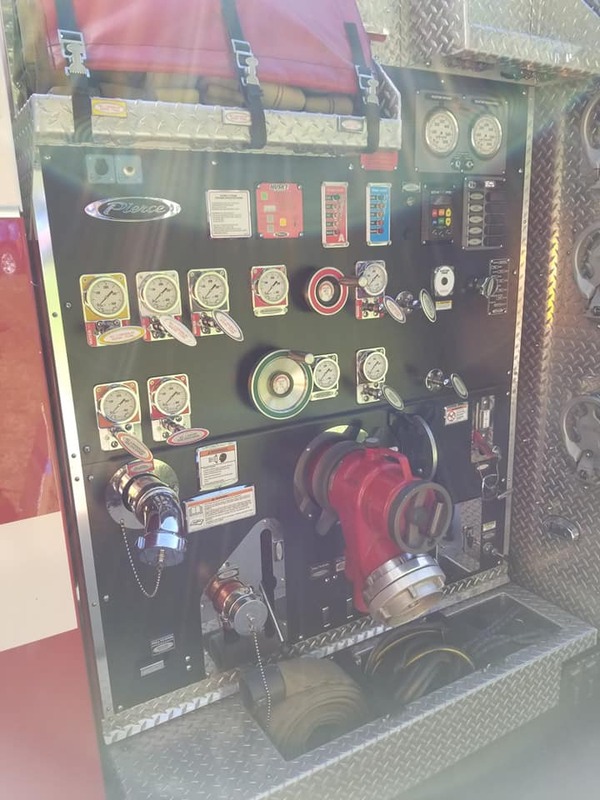 Reno’s Fire Department discussed safety and differences between internal combustion engines and electric vehicles. Reno Councilwoman Naomi Duerr spoke about to the public about the local sustainable energy programs. 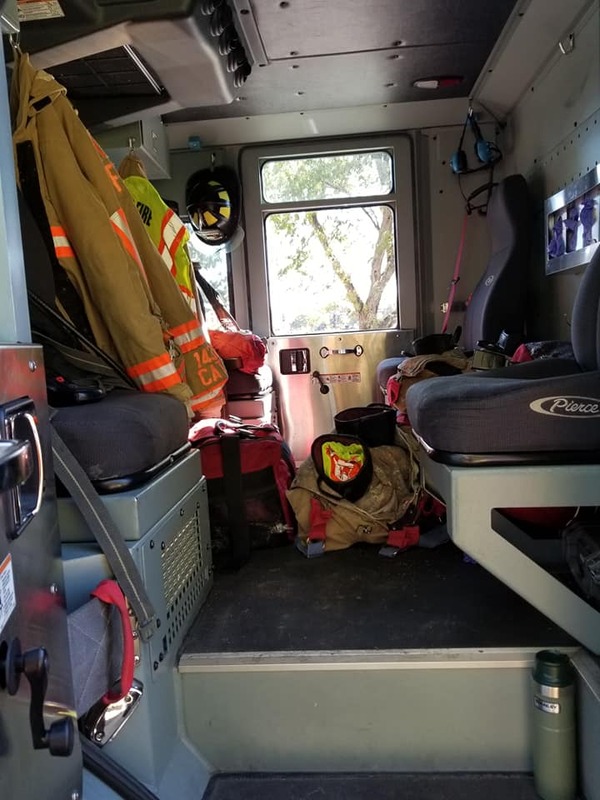 Local businesses such as Tesla Motors and Glory Cloud Coffee Roasters were present. Thank you to our sponsors who helped make this event so much fun. Here’s more info on each supporter of electric vehicles in Nevada. 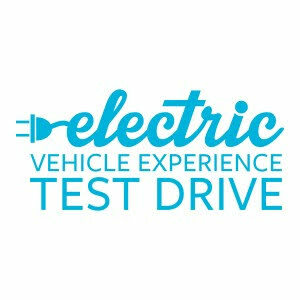 The Electric Automobile Association of Northern Nevada is organizing Reno’s Electric Drive event. Glory Cloud Coffee Roasters and SEE Autonomy are local platinum sponsors. Plug In America, the Sierra Club and the Electric Auto Association are national organizers. 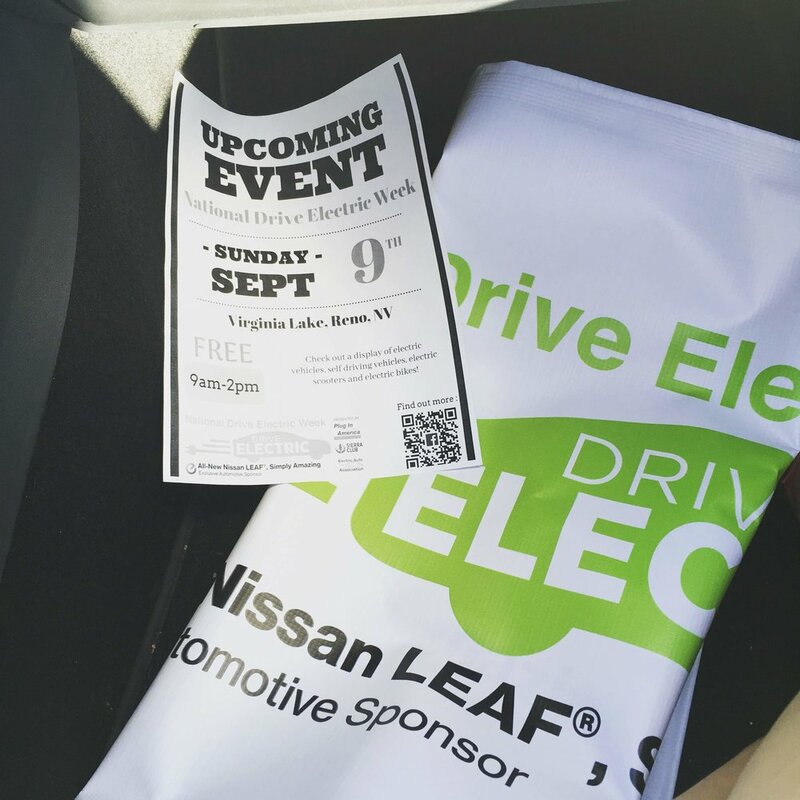 The Nissan LEAF® is the exclusive national automotive sponsor. About the Sierra Club: The Sierra Club is the nation’s oldest and largest grassroots environmental organization with more than 2.4 million members and supporters and chapters in all 50 states. 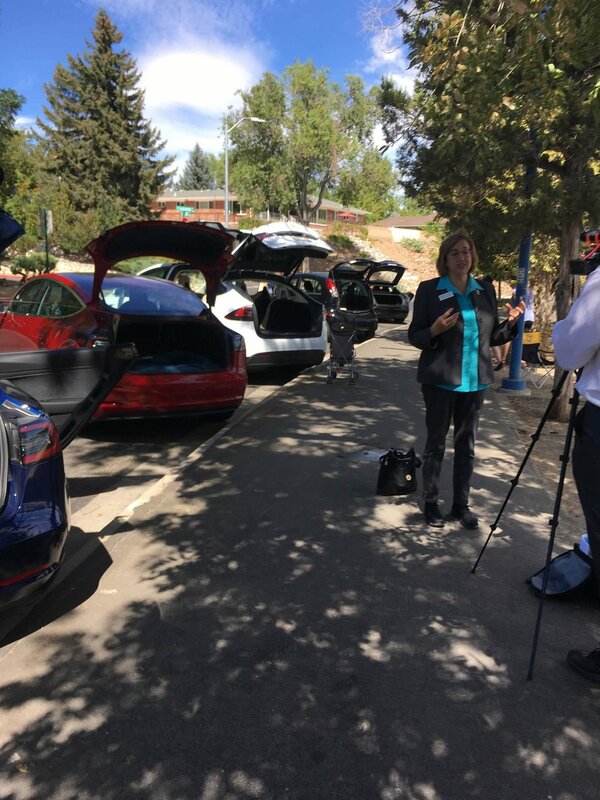 The Sierra Club’s national electric vehicles initiative advocates for a switch to EVs as one important way to reduce emissions and cut oil consumption. Sierra Club is proud to have been one of the three national groups organizing National Drive Electric Week since its inception in 2011. www.sierraclub.org/EVGuide.